The Los Alamos Foundation is a private foundation established in 2008 to serve the community of Los Alamos, California. Our mission is to preserve and promote the rich history and culture of our community and to serve those who live and work in Los Alamos and our surrounding communities. Positive change and mutual respect are essential to continuing to build on our common history as a community. We will achieve this through multi-generational activities that collect and document the experiences and memories of our residents, and through activities that support and enrich our families and children. The Los Alamos Foundation serves the community of Los Alamos, California with a focus on children, teens and seniors. We believe that community thrives in each others care. A healthy community is one in which no one is left behind because language barriers, differing abilities, economic limitations, or personal differences. Each of us brings a unique set of skills, dreams, and history to the table. A rich and vibrant community has a place for each of us, a place where we each can shine, learn, and grow together. We are fortunate in Los Alamos, California to be a community small enough to interact on a one to one basis but big enough to allow our dreamers to thrive. We know each other well enough to be supportive and to care about individuals and the community as a whole. The Los Alamos Foundation takes it's priorities known areas of need. It is important not to waste resources by duplicating existing programs or services and so, we meet regularly with other community stakeholders to be sure that our programs are appropriately targeted and can be managed within our Foundation mission. We also pride ourselves on having personal and meaningful relationships with a wide array of community members regardless of age or even language barriers. True friendship has the capacity to cross many barriers, all it needs is a welcoming hand on either side. That welcoming hand has been offered to us many times and we are both thankful and humbled by the generosity of our Los Alamos neighbors. The Los Alamos Foundation arose out of a desire to become more involved with the community in which we live. We recognized a growing population of families that have come here in search of work in the expanding vineyards and produce farms that surround us. More recently we have seen infusion of business ventures that draw on wine and fine dining tourism. Both of these changes have had a significant impact on our common identity. This influx of new families and new businesses has created an infusion of new culture and customs. Like many small communities we struggled to accept these changes. Our "cowboy/vaquero" culture seemed to be giving way to wine and cheese. Hamburgers and burritos have had to make space for gourmet pizza and high end breads. We began to look for ways in which we could celebrate both the history of our town and it's evolving identity. One of our activities, The Oral History Project, was designed to do just that. Our high school film makers have begun interviewing both old and new residents to share their personal stories with the community. Summer in the Park was created to give our youngest citizens a creative outlet during summer vacation. As the program has grown so has the number of adults interested in coming to the park to share their time and their interests with our kids. Communities thrive and history is preserved when we reach out to one another as peers, as people who are more alike than different, and treating each individual with respect and dignity. This is the mission of The Los Alamos Foundation. The future of the Los Alamos Foundation depends on our ability to engage our neighbors in constructive work to meet the needs of our community. We will continue to seek out supporters and donors, as well as input and feedback on the work we do. Our primary focus right now is two-fold: Continue to build the reach and prestige of the Daniel B Dingman Scholarship for Peace and Justice and secure the future of our Summer in the Park recreation program. Currently the DBD Scholarship for Peace and Justice offers a $1,000 cash prize, we hope to increase this prize over time as we reach out to the most promising scholars in our service area. Summer in the Park has seen phenomenal growth since it's inception in 2013. Attendance has increased from an average of 12 kids per day to 64, that is over 500% growth! We know there are many children not yet being served. To reach those children and to continue to provide for our current load we need a big commitment from our community. This will mean on-going fundraising on our behalf. We are pleased to award the 2015 Daniel B Dingman Scholarship for Peace and Justice to Marisol Zepeda of Righetti High School, Orcutt, CA. 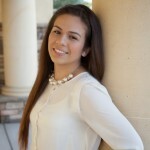 Marisol was selected for the scholarship because of her commitment to serving her community. Throughout her four years in high school Marisol has demonstrated an eagerness to assist others in any way she can. She is always the first to volunteer and always the last person on the job, working overtime to make sure the job is done right. She is compassionate, has faith in herself and in others, and is a natural leader. Marisol also has very strong academic accomplishments and an interest in pursing the biological sciences. She will be attending Cal Poly University, San Luis Obispo. Monna received her B.A. 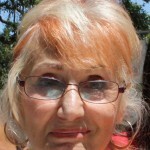 in Psychology from the University of Central Florida in 1978 and her M.A. in Psychology from Colgate University, in Hamilton, N.Y. in 1980. Monna has worked as a Crisis Intervention Specialist with the Madison County Mental Health Department, in Oneida, N.Y. and as Program Supervisor for the Rensselaer County ARC in Troy, N.Y. She also served as Executive Director of Onondaga Community Living in Syracuse, N.Y. After relocating to California, Monna served on the board of The Four Leaf Clover Foundation, supporting local 4-H Clubs, and on her church council, as well as volunteering for the local food program run by People Helping People. In 2008, Monna became a founding Trustee and Executive Director of The Los Alamos Foundation. This work is now her primary focus. Monna enjoys collaborating with other agencies serving the Los Alamos Community and is especially grateful for the opportunity to develop deep relationships with so many of the families that call Los Alamos home. Anne received her B.S. in Biochemistry from the State University of New York at Buffalo in 1975 and her M.D. from Albert Einstein College of Medicine in New York City in 1980. Following her residency in Internal Medicine at St. Luke’s-Roosevelt Hospital Center, Anne returned home to the Albany area and began work as a general internist at the Capitol Area Community Health Plan in Troy, NY. While working there, Anne began to see many adult patients who lived in community residences run by the Rensselaer County ARC. 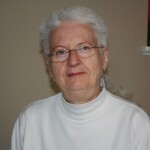 Her work with these individuals with developmental disabilities led her to accepting a full-time position with the Syracuse Developmental Center and later becoming the Medical Director for a five county region in Central New York served by the N.Y. State Office for People with Developmental Disabilities. 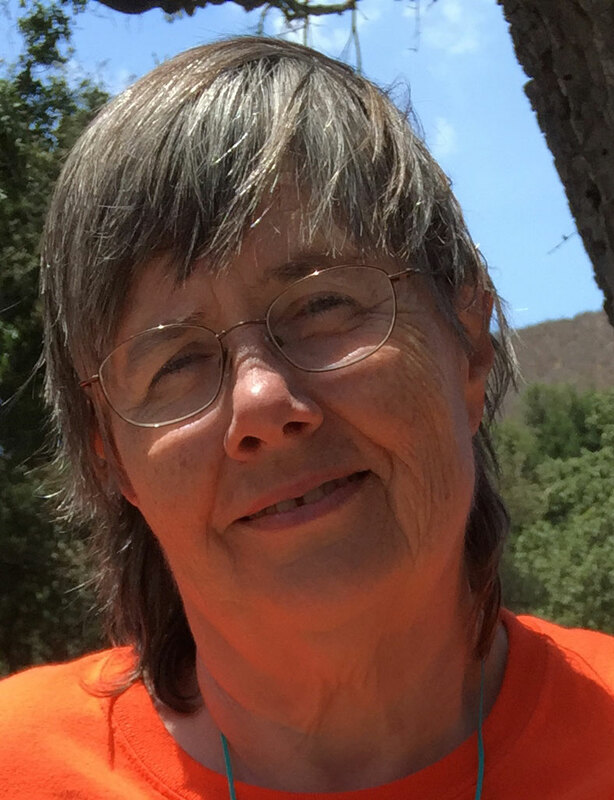 In 1995, Anne relocated to California and accepted a position as an Urgent Care physician with the Santa Barbara Medical Foundation Clinic (now Sansum Clinic) in Santa Maria. Subsequently, Anne became a medical consultant for the Tri-Counties Regional Center while also serving as Medical Director for Urgent Care Services at Sansum Clinic. After almost 20 years with Sansum Clinic, Anne recently joined Dignity Health as a practicing physician in their outpatient care system. She also continues her work as a medical consultant for the Tri-Counties Regional Center. In 2008, Anne spearheaded the founding of The Los Alamos Foundation as a way to serve this diverse and culturally rich community. Today she serves as Trustee and Chief Financial Officer. 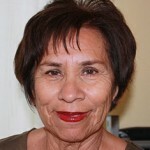 Gloria is a long time resident of Los Alamos having lived in this community since 1988. She is married, with 2 son's and 2 young granddaughters. 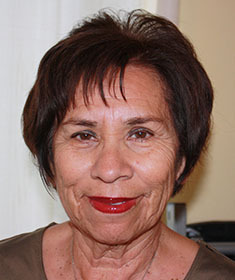 Gloria attended attended Santa Barbara City College where she received her A.S. degree in early childhood education. She then attended Hayward State and UCSB where she received her B.S. degree in early childhood education and her teaching permit. 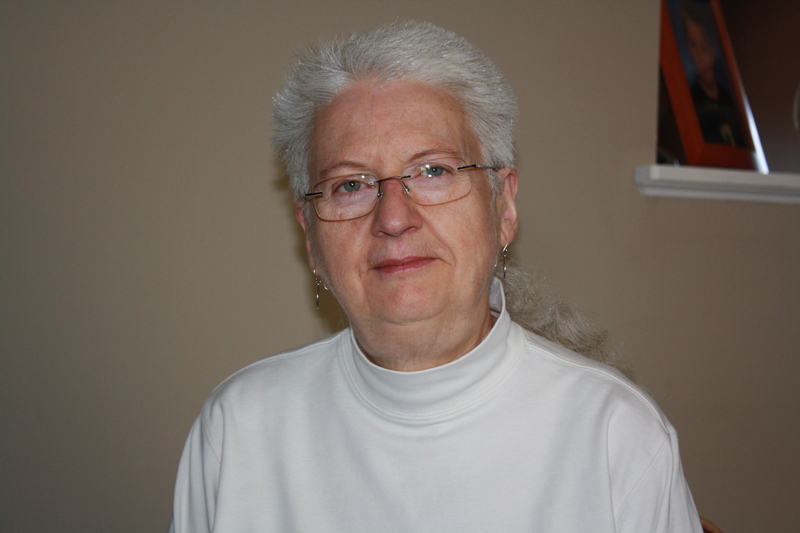 Gloria has been teaching in early childhood education programs for 47 years including Headstart, Montessori Schools, and State Preschool. 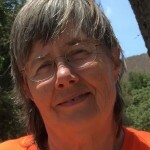 She currently teaches in the state preschool program at Olga Reed School in Los Alamos. 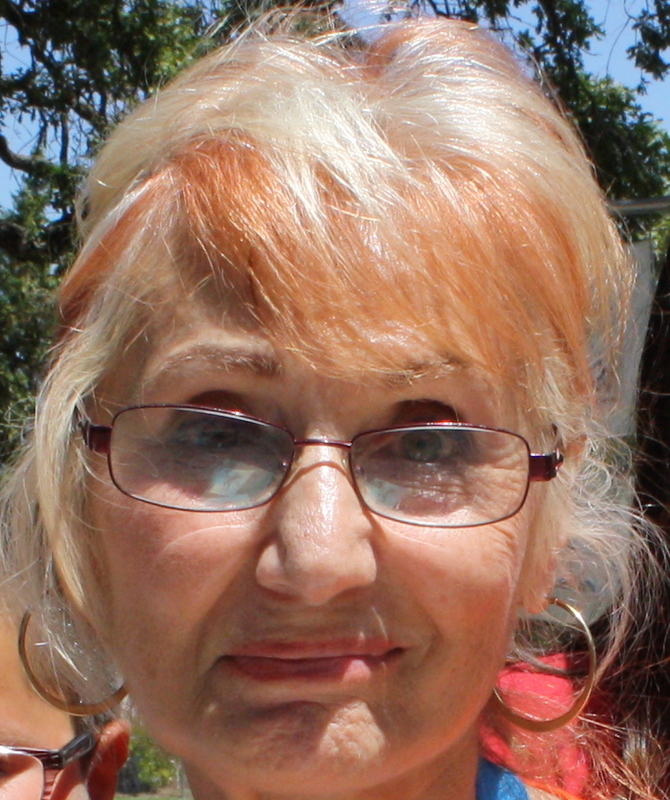 Gloria serves the community through her involvement in Summer in the Park, The Los Alamos Senior Center, The Los Alamos Valley Men's Club and St. Anthony Church. My life as an artist started in the 4th grade, when my teacher convinced me that I could paint a California mission. To my amazement, I succeeded, and my painting won a prize in a city-wide competition. My parents and grandparents supported my new interest with books and supplies, as well as lessons from a local professional oil painter. My art education has been self-directed with courses from various colleges as well as classes and workshops from well-known artists. Because of health issues, I had to give up oils, but I enjoy all water media as well as collage and printmaking. My husband and I moved to Ogden, Utah in 1995. I became very involved in the arts there, serving various officer positions, including president, of the Ogden Palette Club. In 2002, I, along with nine other artists, founded Gallery 25 artist cooperative that still operates today. Soon after we moved to Ogden, I began teaching children as a volunteer at Eccles Community Art Center’s summer “Art Camp” and “Art to Go” that takes art to local schools. I also taught at the Ogden Nature Center and Youth Impact, an afterschool program. I went on to teach adults at Ogden Blue Art School, which I managed, and then in my home. I especially enjoy teaching seniors and those with no art background. Like my 4th grade teacher, I believe that anyone who has the will can become an artist. My husband and I relocated to Los Alamos in 2014. I met Monna Dingman shortly thereafter, and she asked me to join Summer in the Park. I was happy to accept and excited about working with kids again. I have now taught watercolor for 2 summers, and the experience has been extremely rewarding. I am always amazed at what children can create and the determination with which they do it. I am honored to be part of an organization that works so hard for the benefit of the children in our community!